Ex-steel worker, Fulbright scholar, dandy and graduate of Glasgow School of Art, Campbell conquered New York in the 1980s and at that time was styled by the media as one of the leading lights of the New Glasgow Boys. 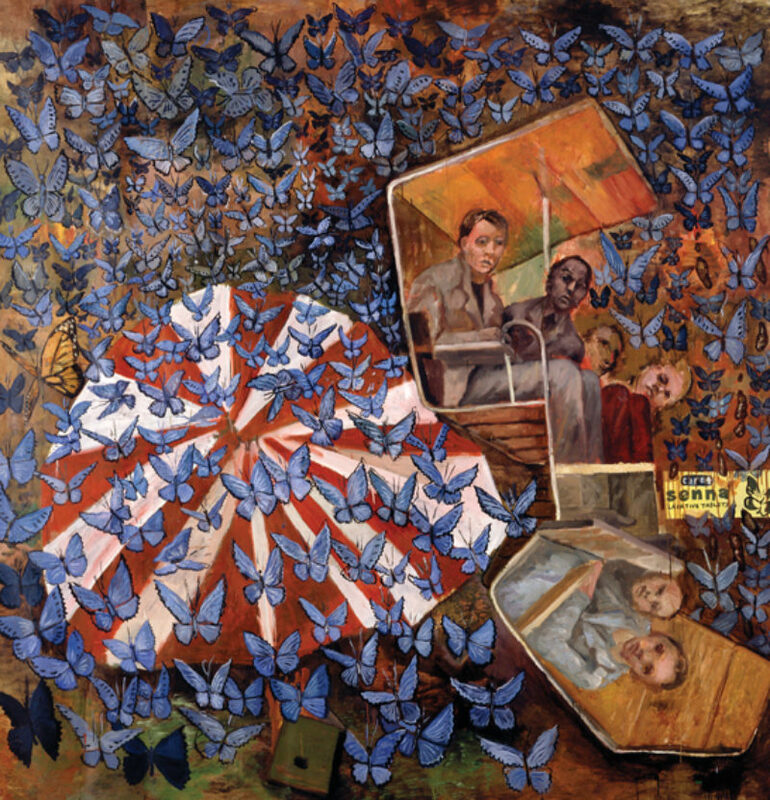 His complex, powerful paintings in the 1985 New Image Glasgow show at Third Eye Centre, Glasgow contributed to a renewed interest in Scottish art. Sandy Moffat, a fellow Scottish painter, borrows the words of Samuel Beckett, written in tribute to artist Jack B Yeats and repeated below, to celebrate Campbell’s eventful life and mysterious, dark narratives: ‘What is incomparable in this great solitary oeuvre is its insistence upon sending us back to the darkest part of the spirit that created it and upon permitting illuminations only through that darkness. Hence this unparalleled strangeness which renders irrelevant the usual tracing of a heritage, whether national or other.’ Steven Campbell obituary, Guardian, 3 September. Campbell’s visionary, often vividly colourful paintings and prints are in many private and public collections around the world, including the Scottish National Gallery of Modern Art. His recent body of work, Jean-Pierre Leaud, 2004, which includes the image reproduced here, can be viewed at Glasgow Print Studio this winter.